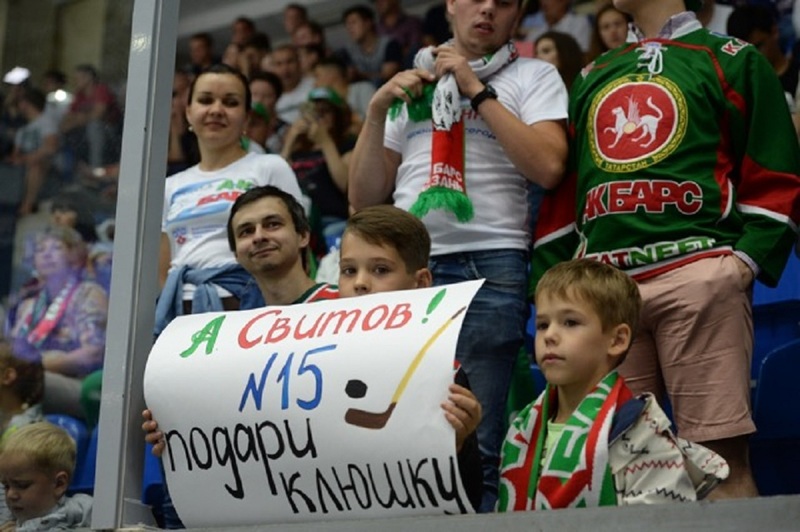 Day 3 of the Nizhny Novgorod Governor’s Cup featured a thrilling “Green Derby,” between Ak Bars and Salavat Yulaev, and an absorbing encounter between Avtomobilist and Spartak. 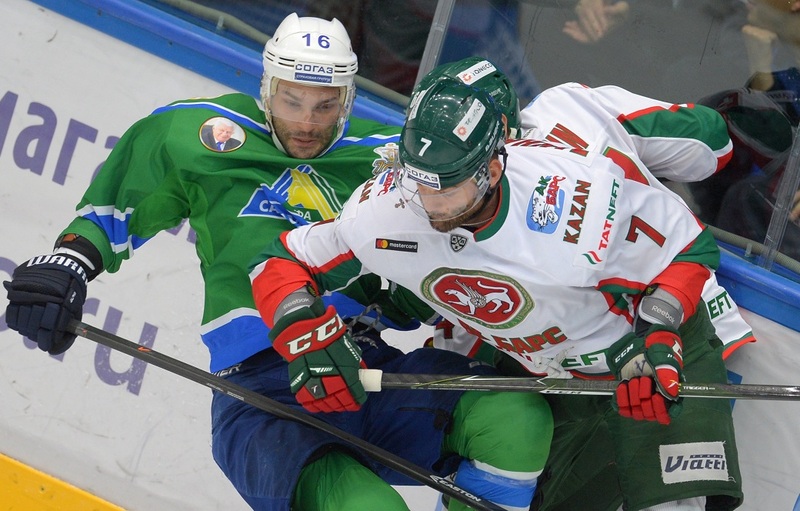 Erkka Westerlund's Ufa Men had enjoyed a full day's rest going into this game against their deadly rivals, whereas Zinetula Bilyaletdinov's Ak Bars had spent the previous day in a bruising encounter against the tournament hosts, Torpedo. Therefore, it was fair for the casual observer to reckon that Salavat Yulaev's fresher legs would be a considerable advantage, and so it proved in the opening stages. The Ufa Men did, indeed, dominate the shot count in the first period, but ominously, they failed to turn their superiority into goals. Salavat finally got the puck in Emil Garipov's net three-and-a-half minutes into the second period, thanks to a goal in powerplay from Teemu Hartikainen, but the retaliation from Ak Bars was swift and brutal. Soon it was Ben Scrivens's turn to pick the puck out of the onion bag as Fyodor Malykhin equalized on 26 minutes, and a mere 106 seconds later Artyom Mikheyev put the Kazan Men in front. Then came the third period, and for Salavat Yulaev, things were to get worse before they got better. In the 43rd minute veteran forward Alexander Svitov scored against his former club to make it 3-1, and ten minutes later Svitov hit his second goal of the game, his fourth of the tournament, and his sixth of the preseason. Ak Bars fully deserved the 4-1 scoreline, and Salavat Yulaev deserve equal praise for fighting back to give the fans a barnstorming finish. Maxim Mayorov pulled a goal back with 6 minutes remaining, and on 56.36 Teemu Hartikainen completed his double to set up a nail-biting finish. Avtomobilist Yekaterinburg vs. Spartak Moscow: 3-2 SO (1-0, 1-0, 0-2, 0-0, 1-0). The second match on the menu was another roller coaster affair between two wildly unpredictable (and therefore highly watchable) teams experimenting with various combinations. Spartak dominated the opening period in most areas except the one that mattered – goals – and went into the first interval wondering why they had failed to convert a host of chances while Andrei Obidin scored on one of Avtomobilist's rare assaults on goal. Things got worse for the Red-and-Whites in the second period, as they not only shipped another goal (scored by Evgeny Chesalin on 24.29) but Czech forward Lukas Radil was sent to the locker room for elbowing Avto defenseman Stanislav Yegorshev. Like the men from Ufa, however, Spartak showed true gladiatorial spirit in Act 3 of the drama. First came Alexander Komaristy's 50th-minute goal in powerplay, and then, as we entered the last 5 minutes, the dramatic fightback was complete when new signing Stanislav Chistov beat Igor Ustinsky in the Yekaterinburg goal. Overtime could not divide the protagonists, and eventually, Dmitry Megalinsky won the crucial shootout duel with Spartak goalie Markus Svensson to bring victory to Avtomobilist. Pelicans (Lahti, Finland) vs. Severstal Cherepovets: 3-6 (1-2,0-2, 2-2). Severstal outgunned the Finns in impressive style, thanks to goals from Adam Masuhr, Matej Stransky (2), Alexander Shcherbina, Pavel Chernov and Petr Holik. Kometa Brno vs. Slovan Bratislava: 3-0 (0-0, 1-0, 2-0). The Slovaks continued to struggle against their neighbors, suffering their fourth defeat in four preseason games against Czech opposition.